“Saving regret is high at the time of or shortly before retirement but is much lower at older ages,” the authors write. They believe there are two reasons for this. First, when people stop working, they're faced with a lot of uncertainty. This uncertainty makes them long for a larger safety net, makes them wish that they'd saved more. In a sense, this is why I have been experiencing saving regret. When my life was settled, I was fine with my nest egg. But over the past couple of years, there's been a lot of unexpected, unplanned spending. Things seem uncertain. Because of this, I wish I had more saved. Whether or not there's any actual increased risk to a person's savings, if she feels like there's increased risk, this leads to saving regret. There's another reason saving regret declines with age: Consumption patterns change. The older people get, the less they spend. This decreased spending leads to greater relief. It lessens the stress. Saving regret was greatest among people who always settle for mediocre results (85.8% of these folks experienced regret) and people who always put off difficult things (88.2%), but this is a very small sample of the whole. Plus, these are personality traits that, with effort, can be changed. Another huge factor — one that could affect anyone — is what the authors term “economic shocks”. A positive economic shock might be receiving an inheritance. A negative economic shock might be losing your job. I found this tidbit interesting too: “Among those with regret, 38 percent reported that Social Security benefits were less than expected compared with just 26 percent among those without regret.” Perhaps it used to be difficult to anticipate Social Security benefits, but nowadays they should never come as a surprise. That info is easy to find. In a lot of cases, it's not the shock itself that causes the problem. It's the failure to anticipate a possible shock. It's poor preparation. The authors believe that people tend to be over-optimistic. They “[expect] future outcomes that are better than reasonably likely”. They think they're better than average and will achieve better than average results. Plus, they suffer from the “illusion of control”, an exaggerated belief in their ability to direct their destiny. This last point is important for me (and many GRS readers). I am a vocal advocate of becoming proactive. I believe strongly that, to the extent possible, we should all work to manage those parts of our life that fall within our “locus of control”. Some things — the weather, the economy, the actions of other people — are outside of our control, and it's foolish to spend our attention on them. But others — our attitudes, our relationships, our saving rates — are absolutely under our control, and it's foolish to ignore them. When reading this article, I fretted at first that the authors were arguing that people like me believe we can control more our life than we actually do. 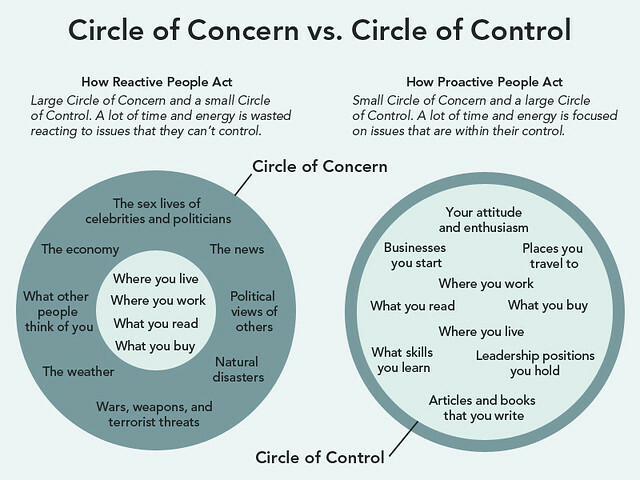 I realized, however, that they're actually saying something different: Those who experience saving regret mistakenly believe that people and events in their Circle of Concern actually fall in their Circle of Control. Money bosses like you and me may not have perfect perceptions of what we can and cannot control, but I believe we have a better understanding than those who express saving regret. We recognize that many things are beyond our control, so we prepare for possibilities. We expect the unexpected. The authors of “Saving Regret” don't delve deep into solutions. Their paper is informational, not prescriptive. Forecast the future. I know it's tough to tell where you'll be in five or ten years. Sometimes, it's impossible. All the same, it's important to try. Having a plan reduces saving regret. The researchers found that “saving regret was highest among respondents who stated that they do not have a financial plan”. The longer a person's planning horizon, the lower their levels of regret. Plan for problems. You cannot predict when bad things are going to happen. You don't know if (or when) you're going to get cancer, a drunk is going to crash into your car, or a typhoon will wash away your beach home. You can, however, be relatively certain that something bad will happen sometime. Your best bet is to be prepared — just like a Boy Scout. Maintain an adequate emergency fund. Be proactive! There is never ever a reason that your Social Security benefits should come as a shock. The Social Security Administration issues periodic statements about estimated benefits. Plus, it's easy to look up projected benefits online. This is but one example of how you can take steps to prevent future surprises. Master your money. “The relationship between saving regret and financial literacy is also strong,” the authors write. People with high levels of financial literacy experienced half as much regret as those at the lowest levels. To avoid disappointment later in life, learn everything you can about personal finance. Save more. Yes, this is an obvious solution to saving regret. I get it. But let's make this explicit: Your saving rate — the difference between what you earn and what you spend — is the most important number in your financial life. Saving rate isn't just vital for money nerds who want to retire early. It's a key factor for achieving any financial goal. Nothing can guarantee your financial future. The slings and arrows of outrageous fortune can wreak havoc on even the best-prepared people. But you can maximize the odds of positive results by taking smart steps now. You can decrease the likelihood that you will experience saving regret by taking action today. If we knew when we were going to die, financial decisions would be much easier. If I knew, for instance, that I would be mauled by a bear on, say, 04 July 2029, then it would be a simple matter to make sure my retirement nest egg lasted another ten years. 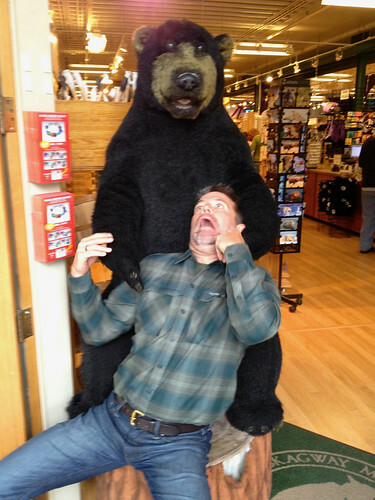 On the other hand, if I knew that the fateful bear attack wouldn't come until I was 120, then I could take appropriate steps so that I had enough money to last me seventy years. But I don't know when and how I'll die. Neither do you. As a result, the best we can do is guess how long we'll live and how much money we'll need. Very few people regret saving money. 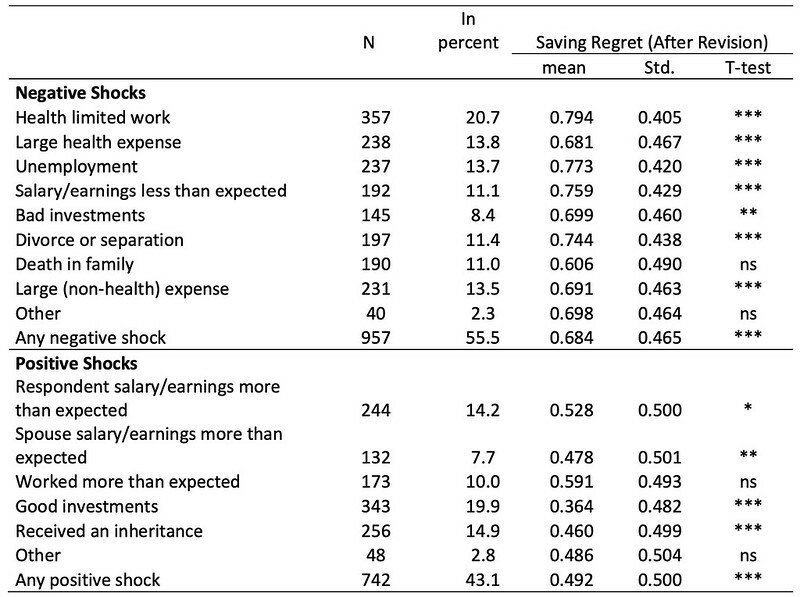 In fact, these researchers found that only 1.7% of respondents would have saved less if they could re-do their earlier life. While 66.6% of respondents wished they had saved more when they were younger, about 10% of these folks say they could not have done so. There wasn't any way they could have spent less. But that means 60.9% of those surveyed could have and should have increased their saving rate. What do people wish they'd spent less on? Men wish they had spent less on cars. Women wish they had spent less on clothing. And as much as it pains me, everyone wishes they had spent less on vacation. I sure hope my own travel spending doesn't come back to haunt me later in life. It's tough to trace cause and effect here, of course, but I don't think it matters. The message is clear. 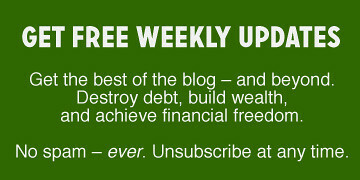 The poorer your personal economic situation, the more important it is for you to save! But the bottom line is obvious: To avoid regrets when you're older, save more now. 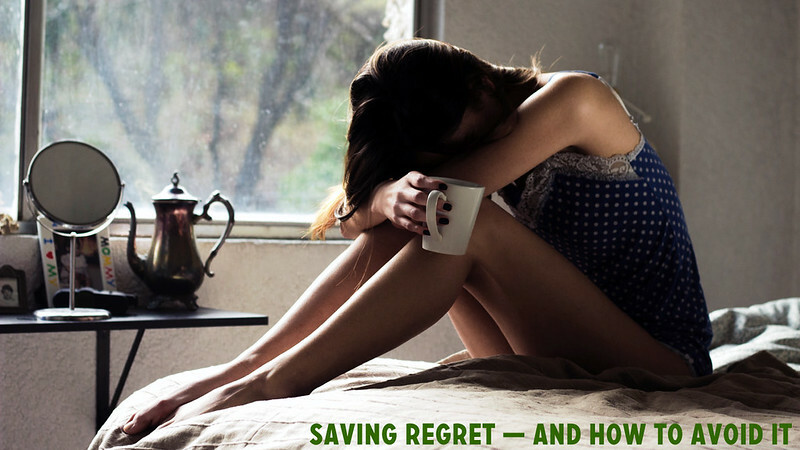 There are 23 reader responses to "Saving regret — and how to avoid it". J.D., Great column on Regret! Such an important topic because so many people know what they >>ought<>ought<< to have been doing). I'm happy to say, two decades later, thanks to that wake-up call (plus staying the course by buying and holding even during the Great Recession), we now have more than we need. It was worth the effort and the dedication to make that all happen. So, readers of this very fine blog: J.D. gives a lot of inspiration and information here. If you haven't gotten serious yet, if you have not had your CARPE DIEM moment about your future finances, just know that it's never too late to start. Regret is no way to live your one, precious life . . .
Save…save…save! Couldn’t agree more. We had our wake up call about 2 yrs ago when my husband’s job was eliminated. We now save more than ever and hope to retire in 6 yrs. you don’t want to know how or when you will die, only where. Then you will never go there. charley munger said that. But what if you’re going to die at home? I’d hate to never go home again. When I saw this headline, my first thought was, why on earth would anyone save their regrets, collected together just to bother them? And why would anyone need help in figuring out how to avoid saving their regrets? It took me a moment to read it again to understand that the topic was regret about not saving enough. Glad I was wrong…. Yes, another great column J.D. Thanks so much for all you do and your openness. Vacation showing up as something people wished they’d spent less on is just a bit worrying and goes against the mantra of buy experiences rather than things in some respects. I wish they’d probed this more in their surveys other than just the keyword mention in the results section. Stephen, I’m not so sure about this mantra of buy experiences rather than things. I’m in my mid-fifties now and to be honest: if it wasn’t for the tickets I kept, I wouldn’t remember a lot of music events I went to in the past decades. Although I certainly enjoyed most of them! Music CDs I have for years and years and enjoy them again and again. Interesting article. Savings regret seems intuitive and parents always tell their kids things like this but it’s nice to see research behind it as well. It goes to show the importance of self discipline. And not just over our savings, but over our life in general. That’s why I believe that personal development and discipline is the cornerstone to wealth building. It’s the eternal question of present value, and how we estimate it. When I was in college I got all these pamphlets from the Wall Street Journal showing me how, if I didn’t try so hard to impress dates at restaurants, and went out less, dressed more shabbily and drove a cheaper car, one day, 40 years hence, when I reached my 60s, I could have over a million dollars to my name. But would I even live to reach my 60s? I wasn’t sure, and didn’t care, and as far as I was concerned that old man needed to sort out his own problems because mine were much more pressing. Hah! Anyway, a dollar today is worth more than a dollar tomorrow and everyone estimates present value in their own way because the future is never guaranteed, itks only a calculation. Of course people who reach old age will value their savings more. Nobody interviews those who for one reason or another didn’t reach old age. Anyway, I got high longevity on both sides of my family, so now I realize that young me was an utter fool… but he did have his fun though, hahahahaaa…. no regrets on that front. Related to that, I think that one of the positives of the FIRE movement is that, by setting a much shorter horizon on “retirement” (say 7 years into the future instead of 40 (40! what young person can even grasp that?) it creates an incentive to save, regardless of interest rates or actual eventual retirement age. I suspect there is also a bit of revisionary memory going on, as well. Just about every time I stop and think something like “I should have saved more” I remember why I didn’t. I have had a budget since I moved out at 18 and have been deliberate with my saving and spending my whole life. Most people don’t. So I can look back and remember wrestling with myself on trying to squeeze more money into savings and remember why I didn’t. I remember why I bought car A instead of car B and when we decided to take that bigger vacation. I do regret some of the decisions I made, but it is the regret of hindsight, now that I know more about it or have the wisdom of experience. Anyway, yes, just wanted to give a thumbs up to your reply, but we don’t have them, and the emojis appear as question marks. So, thumbs up. My bff since Jr. High calls me her “grown up friend”. I shared my retirement goals with her when we were 12. I’m sure the general drift of that info is in the back of your mind somewhere. But yeah, I thought you were more grownup than that! No. I’m strange. I have most of them. Just a comment about the worst thing about your state video from today’s email. The person from my state said white supremacists. Ouch! I definitely have savings regret on top of all the other regret that I have about my finances. I’m glad that I ‘m seeing this article while there might be still time to turn things around. I spend a lot of time regretting the time that has been lost not saving, but what will that do?? Nothing. I’m starting to save today. Thanks for the article! I know this article pertains more to saving for retirement / long term needs, but just this week I was hit with an unexpected $1,200 auto repair bill. As much as it pained me to dip into my savings to cover it, this is a good reminder that it would be a helluva lot more painful if I wasn’t expecting to eventually have to face the unexpected. I like this article a lot! I have once experienced just getting money and spending it on whatever without realizing that I spend almost all of it and not being able to save at the end. It was really a wake up call and I am happy that I am now back on track with spending and saving!